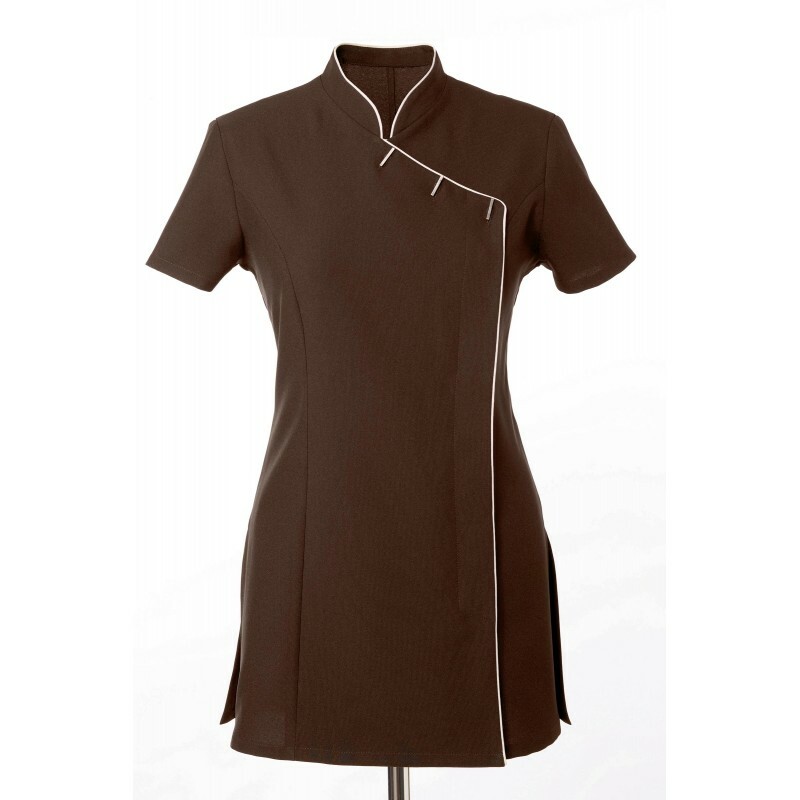 Ladies asymmetrical tunic. Short sleeves. 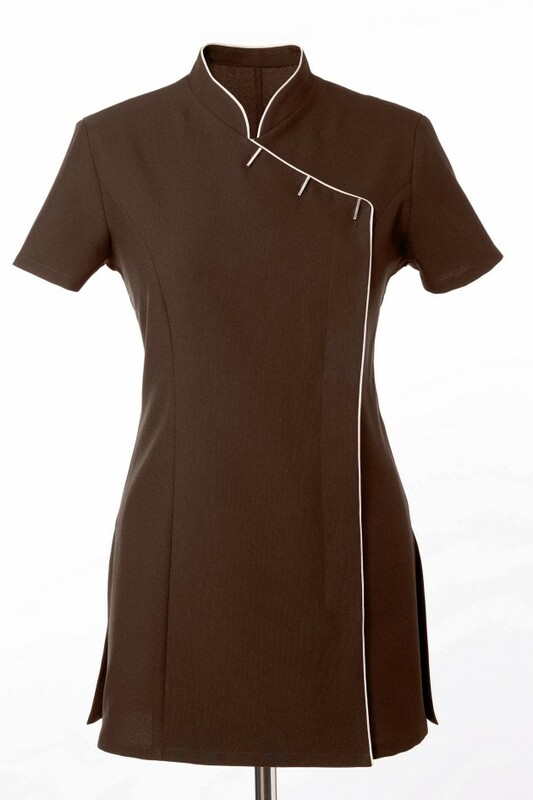 Fitted stand collar, contrasting piping, front side button fastening. Side slits. 2 side pockets. Comfort pleat in back armhole in extensible mesh COOLMAX®. Registered design.